Due to the rapid expansion of airlines in Asia, we would like to invite potential A320 and B737 rated pilots to send in your resume. They are also considering those candidates with zero hours on type. • Hold a Commercial Pilot License / Instrument Rating (CPL / IR). Please note that this opportunity is NOT for CPL or zero hours cadet pilot. 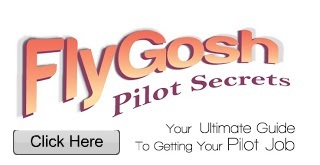 If you are interested, please send your resume to flygosh@gmail.com with the title " Your Name - Rated Aircraft ".